I really don't. 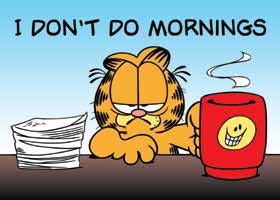 Furthermore, I don't do Monday mornings. My entire body feels like it's stuck in the Stargate between worlds - like I haven't quite dematerialized yet. My weekend was quiet and uneventful, except for my kid sister's visit. She is a tornado of cheerfulness. I can only take her in small doses. She wakes up super happy and already in full swing and remains that way throughout the entire day. I spent all of Saturday with the kids, we had a Stargate marathon in the afternoon. Sunday, as promised, I made risotto. I made a parma ham, dedo de moça, and petit pois risotto. It was delish and just what the doctor ordered for a rainy and gloomy day. We drank loads of merlot and laughed a lot. After eating we did facials with this new clarifying mask my sister bought from Herbalife (they have skincare too), and it was great fun! I really loved the mask and all the products we used. While the mask was drying we drank more wine and watched Heidi. You know the one with Shirley Temple? It's so cute. I'll put up a proper post later today or tomorrow. Tata for now!